Parisian artist Benoit Jammes recently created some brilliant new embroidery work which pays homage to his grandmother and is a modern twist on the textiles of the old days. Zemer Peled was born and raised in a Kibbutz in the northern part of Israel. After completing a BA (Hons) at the Bezalel Academy of Art and Design in Jerusalem she graduated with an MA (Hons) from the Royal College of Art. In recent years her work has been featured nationally and internationally in museums and galleries including Sotheby’s and Saatchi Gallery-London, Eretz Israel Museum-Tel Aviv and the Orangerie du Senate, Paris among others. Zemer Peled’s work examines the beauty and brutality of the natural world. Her sculptural language is formed by her surrounding landscapes and nature, engaging with themes of nature and memories, identity and place. Her works are formed of thousand of ceramic shards constructed into large-scale/small-scale sculptures and installations. Li Hongbo recently created a fantastic new series of silhouette artworks. 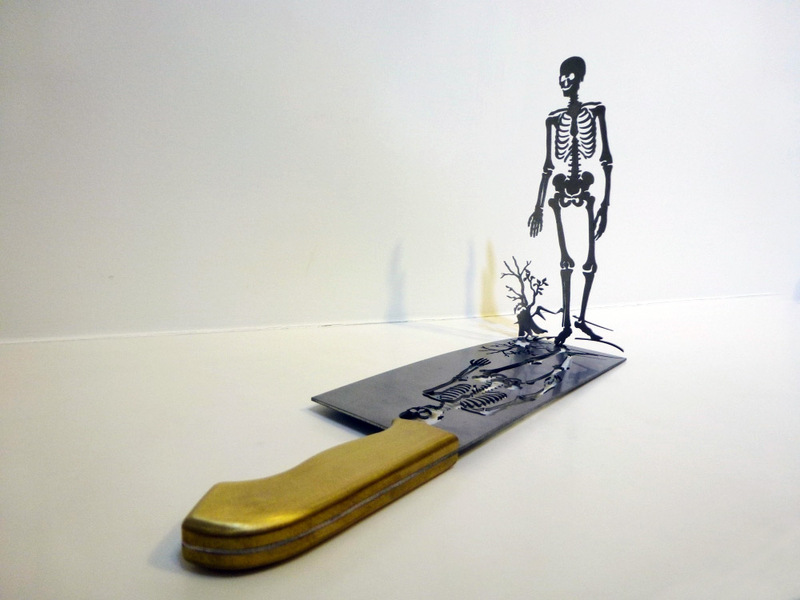 Each piece is perfectly & delicately cut from the knife leaving a complementary negative space from which it appears to jump off the object. American artist Chris Maynard, based in Washington, has created a new series of his extraordinary feather artworks which are carved out of beautiful feathers and re-sculpted using birds as his muse. 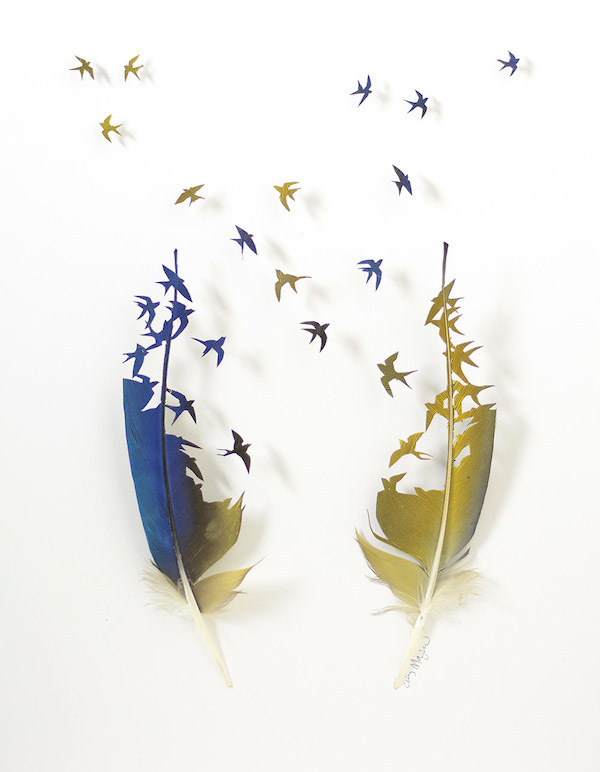 Using a range of stunningly beautiful feathers, he creates whimsical scenes such as that of flocks of birds in flight, a little bird hunting bugs and another one feeding on a long, curly worm. Cayce Zavaglia, a St. Louis-based artist creates painterly like embroidery portraits using traditional fibre art tools. Zavaglia’s shows meticulous work and extreme attention to detail. We posted up Zavaglia’s work a little while ago HERE. 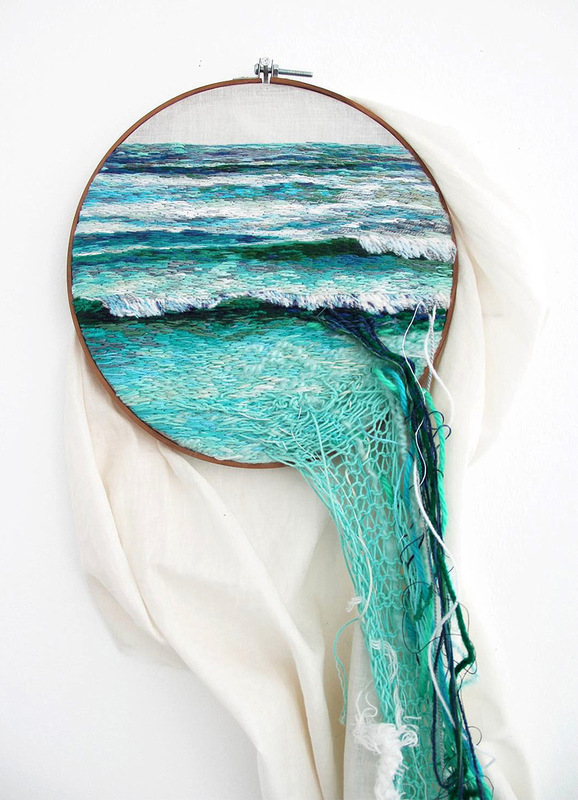 Textile artist Ana Teresa Barbozaby creates unbelievable embroidery art which comes out at the viewer bringing the two-dimensional art-form into a 3D sculpture.